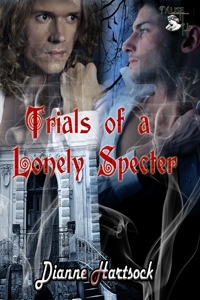 Author Dianne Hartsock sent her main character from her paranormal e-book, Trials of a Lonely Specter to visit us today. 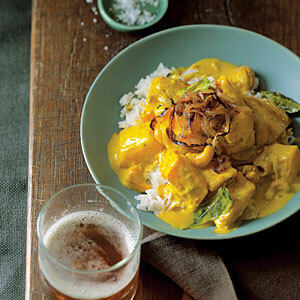 Thanks, Dianne for this recipe, er, I mean, thanks Quinn for sharing this curry recipe with us. 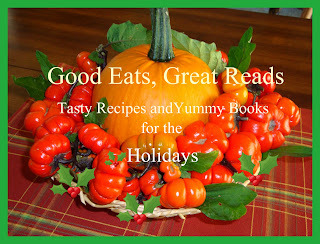 To be eligible to win Dianne's book, leave a comment on what kind of pie you prefer...apple or pumpkin. Yes, that's your only choices for entering the contest. I imagine there will be some very interesting comments on this. Thanks, Everyone, for participating. Quinn knows that the way to a man’s heart is through his stomach, and Liam is no exception. Trying to intice Liam to appear, who, for a ghost, has some curiously earthy appetites, he cooked this up for dinner last night. Once the rich, spicy aroma started to fill the house, it was only a matter of minutes before the specter appeared at the table, blue eyes sparkling with hunger. Quinn counts this one a success! 1. Sprinkle pumpkin with 1/2 tsp. salt. Heat 1 tbsp. oil in a large nonstick frying pan over medium-high heat. Brown half the pumpkin in oil, turning once, 6 to 8 minutes; reduce heat if pumpkin starts getting dark. Transfer to a bowl and repeat with 1 tbsp. oil and remaining pumpkin. 2. Heat remaining 1 tbsp. oil meanwhile in another large frying pan over medium heat. Cook onion, stirring occasionally, until deep golden, 12 to 15 minutes. Transfer half to the nonstick frying pan and reserve other half in a bowl. 4. Return pumpkin to nonstick frying pan (with onion) and add coconut milk. Bring to a boil over high heat, then cover, reduce heat, and simmer until pumpkin is tender, 5 to 10 minutes. Stir in cashews and lemon juice, and add more salt to taste. Top curry with reserved onion and serve with rice. There’s been an accident. Quinn believes he’s dead, though Liam insists otherwise. But if that is the case, why does Quinn see the two of them as ghosts? And why does Liam play along? Exposed to mediums and apparitions, Quinn has to make a decision: either accept his fate or risk everything to trust Liam one more time. The room darkened as Liam walked through an archway on the left and he hurried to follow him. He would have liked to take some time to examine the furnishing and tapestries of the parlor, but Liam pressed on. Quinn finally caught him at the far end of the room. “So I’ve heard,” Liam purred, looking like he was about to eat the canary. Quinn didn’t like the eager way he swept through the kitchen to the servants’ staircase. He tramped up the dark stairs in the apparition’s wake. Liam’s werelight was a mere flicker in his hand, casting eerie shadows on the close walls. Quinn was huffing by the time they reached the third flight and Liam stopped to let him catch his breath. Quinn’s mouth fell open. “I forgot,” he confessed. His eyes dropped, waiting for Liam’s mocking laughter. It never came. Instead, the man descended the stairs until he stood level with him. Quinn held his breath as the hand that held the werelight touched his cheek. “You give me hope,” Liam said surprisingly. “Here, let me help you.” He slipped his arm through Quinn’s. They fairly flew up the steps after that. Quinn laughed with the exhilaration that raced through him. He’d never felt so free. He wanted to burst through the roof and fly straight into the night. Liam grinned, sharing his joy in the sensation of weightlessness and speed. All too soon they spilled into the hallway far above. Their laughter died at the grimness of the shadowy corridor. Quinn winced when Liam suddenly grabbed his hand. The spirit’s eyes glowed with anticipation. Liam shook his head, clearly disappointed by his answer. Tugging on his hand, he led him to a door in the middle of the corridor. Welcome, Dianne! Thanks for sharing your unique recipe with us. My hubby loves coconut, so this is perfect one for me to try out. Sounds pretty spicy to me. JQ, Thanks for having me and Quinn here today! So many delicious recips to try now! This was such a fun idea. Hey Roseanne, you can add as much or as little spice as you want. It's a nice creamy pumpkin soup on its own. Thanks for stopping by! I love spicy and curry! Sounds yummy. Excerpt had me intrigued as well. Great post! I forgot to ask--can you buy coconut milk at the grocery store? Sounds very exotic..Thanks. The recipe does sound wonderfully spicy, but I'm sure it can be tweaked to taste. Loved the excerpt, Dianne. BTW, I prefer apple pie! I'm glad you stopped by, Karen. For me, the spicier the better! You know, Pat, my favorite pie is cold apple pie for breakfast. :) Thanks for coming! JQ, I usually buy it at specialty markets, but you could always ask for it at your local store. Sounds way more complicated than my limited cooking skills afford! I'm actually not much on pie at all, not my favorite dessert. (I already have a copy of Trials, so don't put me in the contest, y'all. And I haven't had a chance to read it yet, Dianne, work and the holidays have me scurrying! BUT YES, I'M GONNA! Why is it my taste buds demand pumpkin pie at Thanksgiving time? But I believe of the two, apple is my favorite. We have such a delicious variety of apples in Michigan. I could eat apples several times a week in pie, cobbler, salads, or fresh off the tree. Thanks so much for sharing, Dianne! The recipe sounds good. I'll have to try it some time.